In collaboration with Mesothelioma UK, the NLCA have produced the third mesothelioma audit report to raise the profile of this asbestos-related cancer and to make recommendations to improve outcomes for mesothelioma patients. 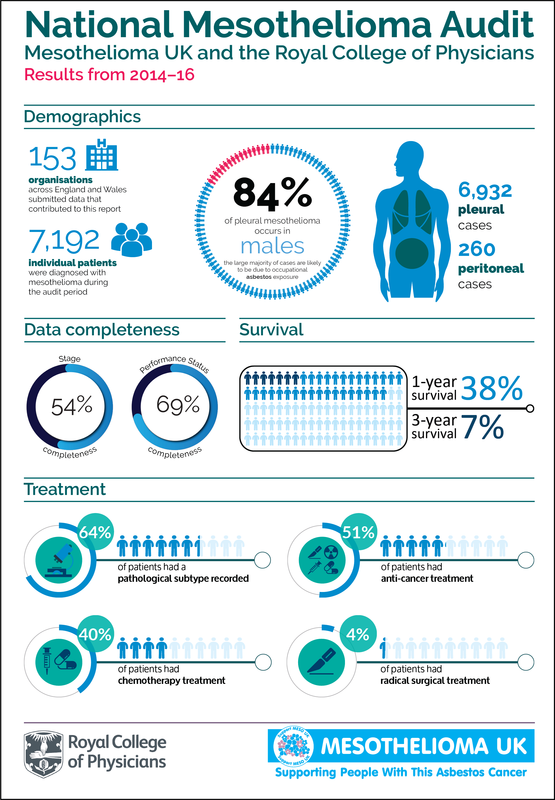 In collaboration with Mesothelioma UK, the NLCA have produced the second mesothelioma audit report to raise the profile of this asbestos-related cancer and to make recommendations to improve outcomes for mesothelioma patients. In collaboration with Mesothelioma UK, the NLCA have produced the first mesothelioma audit report to raise the profile of this asbestos-related cancer and to make recommendations to improve outcomes for mesothelioma patients.